MagicJack App finally available for Android! 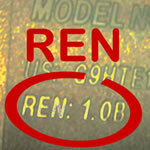 Update 8/15/2013: New update to Talk Free android app. Tell us if it’s compatible in the comments here! One iOS app user posted that it became available on August 29, 2012. It’s called Talk Free. So far it has a rating of almost 5 stars on Google Play. Some users are finding it’s a bit of a battery hog. There are a couple threads on magicjacksupport.com, many of them suggesting it would be a very long time before we saw this app if ever. But it’s here. I’d love to hear people’s feedback on it. I’ve installed it myself today. 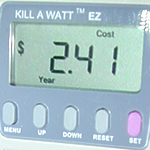 Results Are In – Setup File is Firmware. After some debate on the forum magicjacksupport.com, I decided it was time to do my own testing. I wanted to see if using different upgrade setup files produced different firmware results. I found that the firmware version does change depending on which version of magicJackSetup.exe you use. Below are the tests I did. I suspect others could easly reproduce the same results. Barring any other evidence, firmware is in the setup file. It has been brought to my attention that it is very likely the updater files and the premise of knowing their specific age is not relevant or useful. The updater file (Windows or Mac version) is meant to check the existing version on your magicJack when it is plugged into your computer. If your version is not the most recent, the update file then downloads the latest version of the firmware on the fly. 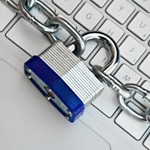 The firmware cannot be downloaded as a separate entity. There is no turning back to a previous version if the current version does not work. DSLReports.com is one of my favorite places to find help with my high speed internet connection and voip challenges. 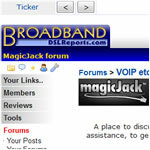 It’s no surprise that the also have a sub-forum directly focused on the needs of magicJack owners. You may find that the same helpful and friendly people who hang out here also hang out at the unofficial magicJack support forum as well. Here’s a youtube video that gives specific directions and helpful hints on getting your best experience from a magicJack support chat session. Enjoy! Please note that an even easier way to get there is by logging in at https://my.magicjack.com/ and clicking on the ‘Live Help’ button. However, if you’re in the middle of the customer care website, it’s just as much time and effort to do one as the other. Looking for help on how to get started with your magicJack? Frustrated with your connection? 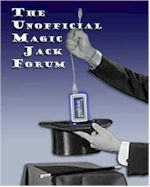 Worry no longer, one of the best sites for asking questions and getting answers about how to fix your magicJack is the Unofficial magicJack and magicJack plus support forum. This support site consists of a forum where other people just like you have probably already gone through what you are going through right now. What’s even better? They probably have answers and suggestions that will make using your magicJack a snap. Head on over to the magicJack support forum today. 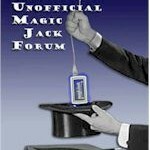 Update 2013: This forum legally had to change its name to phone service support because magicJack told them they couldn’t have the domain “magicJacksupport.com”. In other words, they bullied this guy into changing the domain name. The above link now leads to the magicJack main website. It’s sort of a crummy thing to do since magicJack does an inferior job of providing support and has no forum of its own. 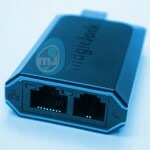 It’s a strike against magicJack in terms of community and support, as far as I’m concerned. 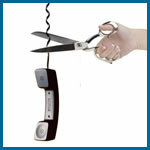 The correct URL for one of the best forums on magicJack support is now phoneservicesupport.com. Change all your links!